Contact with some of the hazards found in the levels, such as spikes or electric forcefields, can cause instant death too, so careful planning is required for the most part, rather than charging around recklessly. Fortunately, hit points are replenished each stage and there are also a few items that can help you such as various foods to replenish your energy and smart bombs to clear the screen of enemies. These items can be transferred from one Viking to another too, depending on who’s most in need, which further emphasises the teamwork aspect of the game which is so prevalent. 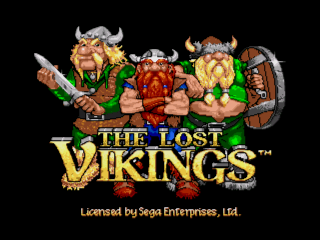 In fact, in some versions of the game (including this one) it’s possible for you and a friend to control more than one Viking at once. Since your memory is gone, you choose what class you want to level up in as you gain experience, and you are not limited to that class each time you reach the next experience plateau. More importantly, experience is rewarded for more than just combat. How you speak to NPCs can result in a bonanza of experience points, as can completing tasks. The choices you face in every encounter can adjust your alignment depending on what approach you take. 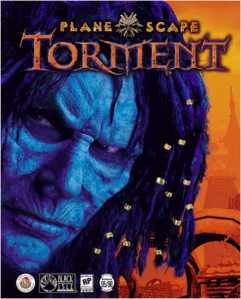 In short, everything about Planescape: Torment is open-ended, the hallmark of an excellent RPG.